Our award winning Click2Coach solution helps with upfront training of agents, using real customer interaction scenarios and examples of how to handle different customer interactions. Once agents are on the floor, handling phone calls or omnichannel interactions, ongoing coaching is what develops highly engaged and effective agents and exceptional customer experiences. 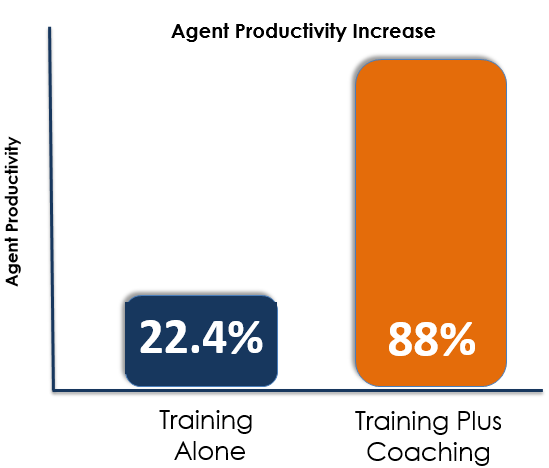 Coaching is an ongoing effort that drastically improves the effectiveness and productivity of agents. 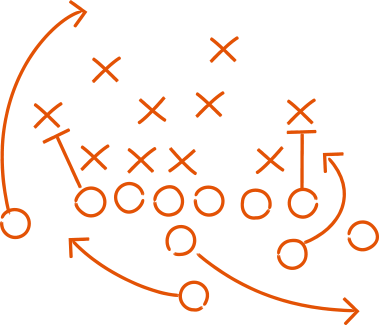 Coaching an agent is similar to coaching a sports athlete, where stellar performers are developed with ongoing coaching that refines skills and motivates. The smallest adjustments can deliver huge gains in performance. Agents who receive coaching and objective feedback also refine their skills, improve their effectiveness, stay engaged and deliver a better customer experience. Create your eLearning library and organize it by interaction type, group, purpose, or however you choose. Use actual agent phone calls or other interactions that are great examples to coach groups of agents for improvement. Or, you can easily create your own eLearning training clips by recording them from your desktop or linking to external content on your intranet. It's simple to create the targeted coaching needed to improve performance whether for a particular agent or groups of agents. 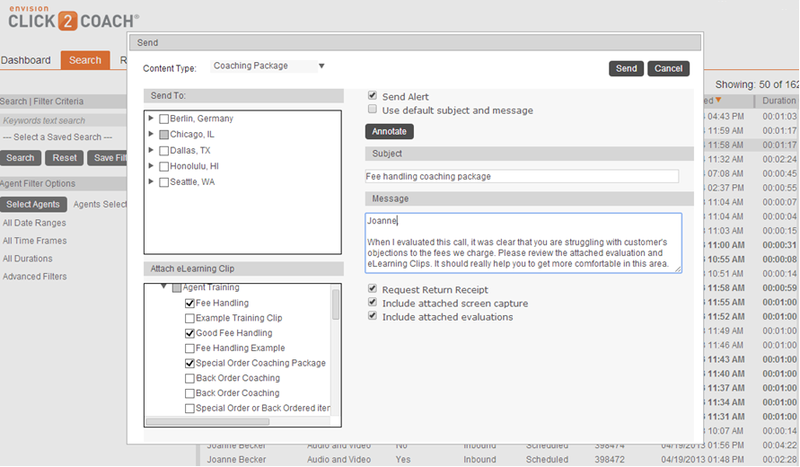 Our solution allows you to send recording coaching clips to agents immediately for urgent coaching and training needs, in between calls at low peaks of volume or at scheduled times with workforce management. Send coaching packages that include an annotation, the actual call and evaluation so the agent gets the complete picture. Bottom line is you can send coaching directly to the agents in their seats at the best time so they get the feedback necessary to improve. Contact centers experience different volumes of activity throughout agent shifts, and when SLAs are exceeded and agents have idle time, you're still paying those agents. Recapturing this paid but underutilized time to coach agents, when they have time to take a 2-3 minute coaching package or review an eLearning clip, allows you to improve their performance by leveraging this idle time. Coaching results in better future performance, engagement and costs you nothing extra. Customers leveraging Click2Coach see increases in agent effectiveness, reducing AHT by more than 15% and increasing customer satisfaction. Customers also get the benefits of increased sales, higher conversion rates, improved cross selling and improvement in collections because agent's are benefiting from ongoing coaching in these areas to improve and adjust.